With this post I am link up my mosiacs with Mosaic Monday and the yellow chested Great Kiskadee for Mellow Yellow Monday and with the beautiful blue water of Horsebeach Beach and the lovely skies for Blue Monday. I recently read that Smiling Sally is in the hospital, please say a prayer for her and wish her well. I think by now everyone knows I love to go birding and that includes birding while on vacation. During our port of call stop in Bermuda I was able to check out the birds on the Horseshoe beach. A popular beach with pretty blue water and pink sand. Hubby was able to go snorkeling while I did my birding so we were both happy. At Horseshoe beach I saw a bird I see on the beaches at home, the Ruddy Turnstone. Other common birds I saw in Bermuda, the Eastern bluebirds, Cardinals, Mourning Doves and lots of pigeons, starlings and lots of house sparrows. I did add a lifer to my list with the white-tailed tropicbird. I will do another post on my lifer the Tropicbird. Below we were at Tobacco Bay, known to be a great snorkeling spot. Hubby was happy seeing pretty Parrotfish while snorkeling. Here, the birds I saw were more of the Great Kiskadee with their pretty yellow chest and lots and lots of House Sparrows. 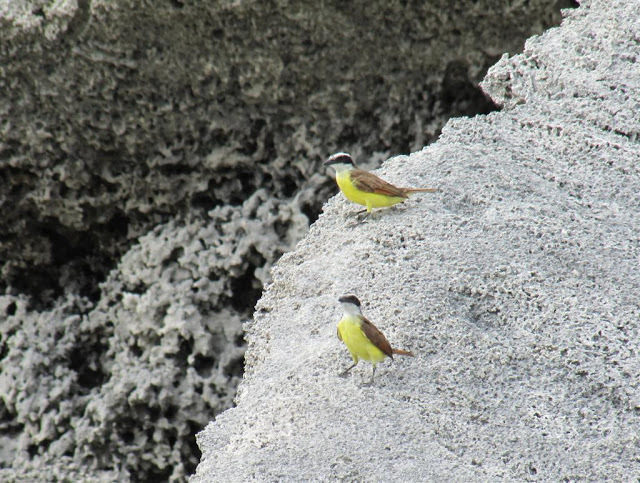 These birds below the Great Kiskadee were seen all over the island. I watched these two Kiskadees while hubby, son and his friend were snorkeling at Tobacco Bay. They have such a pretty bright yellow belly. Please visit these fun memes: Mary's Mosaic Monday and Drowsey Monkey's Mellow Yellow Monday and Sally's Blue Monday. A special thanks to these great hosts: Mary, Drowsey Monkey and Sally. Thanks for visiting my blog and my post. I hope you all have a great week. they're so pretty in a non-overpowering way! loved the beach scenes too. very soothing. Hi Eileen. What a beautiful place you show us. Beautiful beach and beautiful birds. These are just breathtaking. Wow! The birds enjoy the Nature as much as us. Absolutely beautiful beach...the color is like nothing I have ever seen before. The birds make for a great addition to the mosaics. Bermuda - just the name conjures up thoughts of a beach just like you've pictured. Gorgeous! Oh my! The colors, textures, formations, and all the wonderful birds make this a wonderful post for Mosaic Monday (and all the others). Just a delight. Fantastic vistas and terrific bird shots. It's always a pleasure to drop in and see your mosaics. I've not been to Bermuda, perhaps that needs to change. I love the aqua colours in your photos! Wow Eileen what a great place and those birds...... What a wonderful beach for all the families interests. Great photography as usual. Have a good week, Jackie in Surrey, UK. Looks like a great vacation spot-with lots to do. Doesn't look crowded at all. Nice! what a wonderful spot, looks like a great place to be, super photos! the yellow-breasted birds are beautiful, so as this beach. such glorious water, rocks and sand. 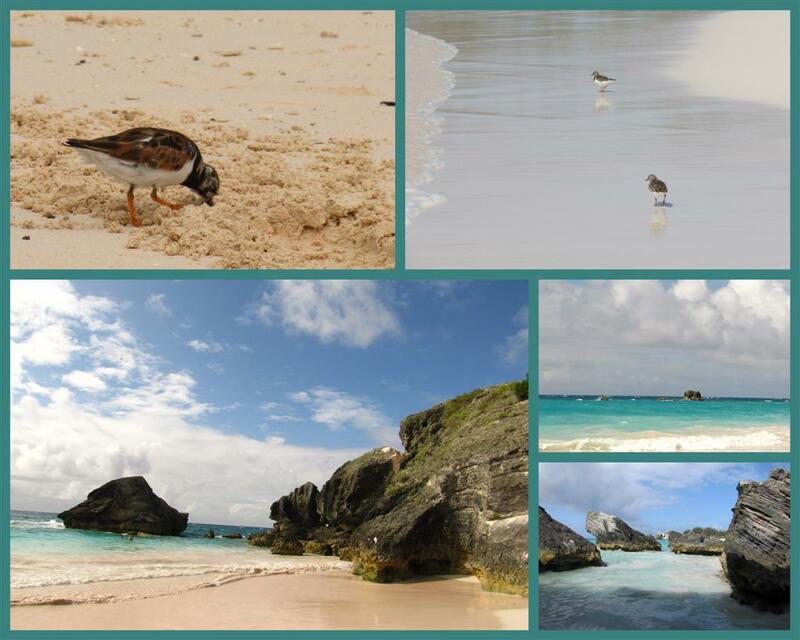 What a gorgeous beach, and such cute little birds! Looks like a great vacation, Eileen! What a beautiful place! The water is such a beautiful turquoise against that gorgeous blue sky. Glad you and your hubby both got to do what you wanted :) I wish he had an underwater camera, I would have enjoyed seeing some of the fish he saw. Hi Eileen, Interesting that Bermuda has some of our mutually common yard birds such as the Bluebirds and Cardinals. I love your pictures. The Kiskadee birds look amazing! Glad you have had so much fun and got excellent bird sighting (and shots)! Have a wonderful day! Such a beautiful series of shots! The ocean looks marvellous! Eileen, I almost didn't get past your header... almost walked right in for a swim!! What a gorgeous aqua sea! We have such waters just a couple of hours south from our home, but it's rainy season, so not much fun to spend in the water. I need patience. But I did follow you on your birding tour here and enjoyed your wonderful images of all the birds (but your lifer) that you saw in Bermuda. A special nod to the yellow-bellied Great Kiskadees. Lovely montages, too! Sounds like a great trip-glad you all enjoyed it so much! Oh my this place is beautiful. And the yellow birds I love it! wow, what a great place. Love your shots and the birds. The place seem to be absolutely gorgeous. Love it. Beach scenes are so relaxing for the mi nd and spirit! These photos are fascinating and beautiful! How pretty Eileen, beautiful photos and lovely birds. I am enjoying all your Bermuda photos very much. I miss home because of your photos of the ocean.. Great captures. Your beach shots are incredible! I'm glad you were able to get some birding in. The Great Kiskadee is really a striking bird and so obliging to pose for you. Gorgeous birds and what a gorgeous place! No wonder people like to visit there! Congrats on the lifer! The water in Bermuda is so crystal clear! 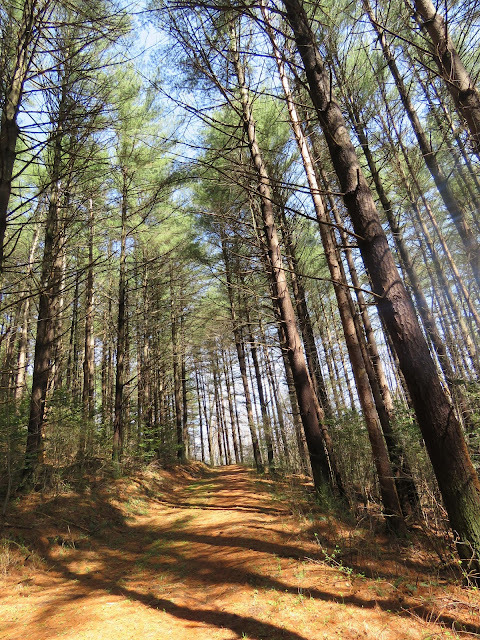 I love all your photos, Eileen. There are so many beautiful birds there! When I first opened your blog and saw that gorgeous beach it took my breath away. 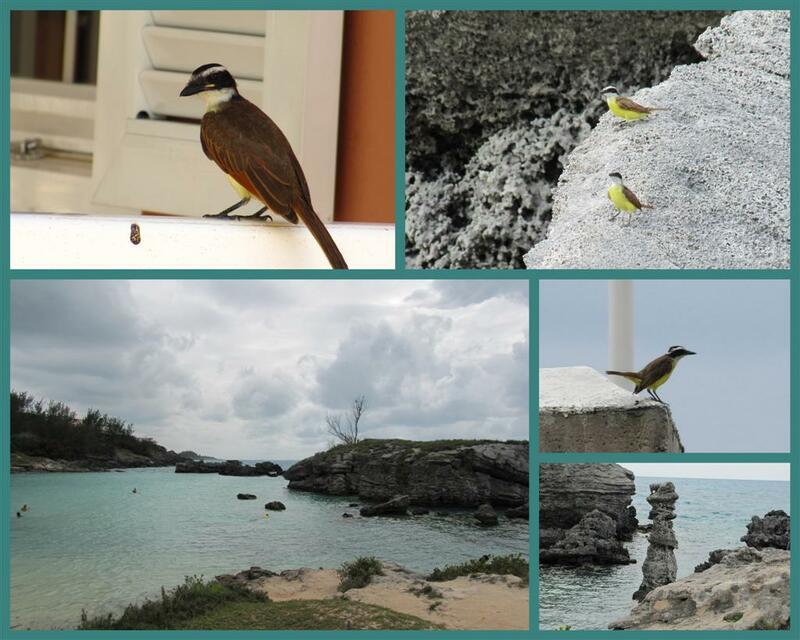 With the beautiful scenery and all the little birds your vacation must have been a lot of fun. Wow! What a beautiful place to visit. The birds are all beautiful especially the one with the bright yellow belly. I must have missed this post earlier; I remember your one about the lifer. Beautiful birds. The kiskidee is gorgeous.